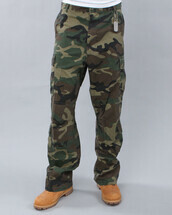 We get our military style rocking with a perfect pair of swag cargo pants. 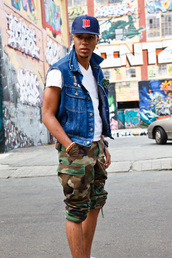 Team them with a faux fur collared vest for an added dope look. 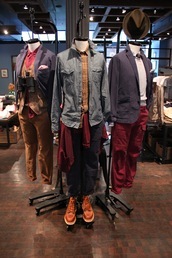 The utility look has made a comeback a few times after first being fashionable in the late 90s and early 2000s. 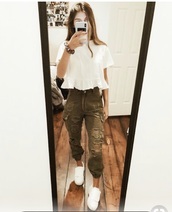 Camouflage pants are always a big hit among fashion icons and hip-hop style trendsetters, and whether we choose some cool blue denim designs or rocking red pants, we are going to be noticed. 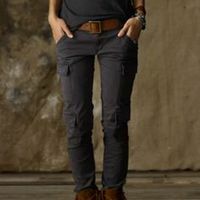 Cargo pants also come in many various designs from the traditional side pockets to the sweatpants and zip details that appeal to all of our many different fashion tastes.